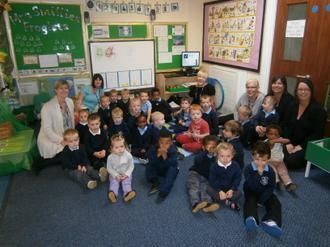 Welcome to Middleton St Mary’s C of E primary school nursery. We are in 2 classes Mon / Tues / Wed am – apple class and Wed pm / Thurs and Fri pear class. Mrs Smillie is our teacher and looks after the green froglet keyworker group. Mrs Moore looks after red petal keyworker group. 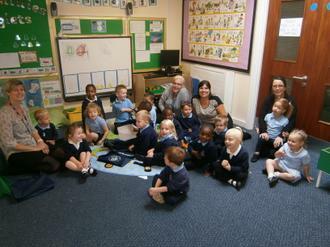 Mrs Roberts looks after yellow sunshine key worker group. Mrs Flannigan, Mrs Stokes, Mrs Brayshaw and Miss Tate also help with our learning. We have lots of fun, dance to lots if songs and enjoy lots of time playing and learning outside.